Welcome to the last stop of the All These Lives Blog Tour! 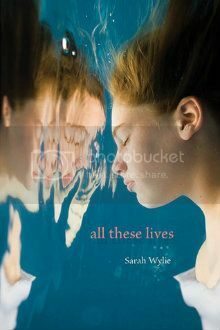 All These Lives is a 2012 debut novel that explores the defenses we sometimes put up and what it takes to break them down. 1) Dani's Voice: With her sass and snark that she uses as a defense, Dani is a memorable character that stands out among YA narrators. 2) Jena: Dani always says that Jena is stronger, and Jena does possess a quiet strength. She tries to make the best of the situation. 3) Dani and Jena's Relationship: Even though at first it seems like there is distance between them, gradually their devotion and love for each other shine through. There are a few moments where they are able to relive old times that are beautiful. 4) Jack: Despite Dani's teasing, Jack never stopped trying to be a true friend. 5) Dani's Parents: Both her mom and dad were present throughout the novel, something rare in most YA books. Despite Jena's illness, they tried to make sure Dani was never forgotten. 7) Dani's Nine Lives: This gave a fresh and unique twist to the story and helped to drive Dani's actions. 8) Expectations Defied: This may seem like a cancer story, but it has so much more. Cancer is only one element, as is romance. Instead the book is full of emotions and the relationships between people. 9) The Message: What Dani eventually comes to realize is a good, meaningful reminder of the importance to make the most of every moment. The giveaway will end at 11:00 p.m. EST on June 8, 2012. To enter, all you need to do is fill out the form on Sarah Wylie's blog. Missed any of the stops on the tour? Find a complete list here.